A phenomenal communicator, John will delight you with his engaging humor and realistic approach to today's issues. He combines a wealth of experience as a teaching pastor and elder (at Open Door Fellowship in Phoenix, Arizona). In addition to speaking nationally with the Truefaced team since 1997, John has co-authored a number of books and resources with Truefaced, including the bestseller, The Cure (formerly TrueFaced) and the popular Bo's Cafe. 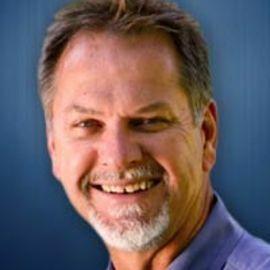 John served for 27 years as teaching pastor at Open Door Fellowship in Phoenix, Arizona, a position that he held since 1985. He recently stepped out of that role to begin working full time at Truefaced. The authenticity, longevity, and playfulness of these two flawed communities, Open Door and the Truefaced group, brings real-world reality and potency to this Truefaced message. John used his love for writing and performing as the co-founder and playwright for Sharkey Productions, a theater troupe focused on Gospel-anchored theater productions for those still seeking Jesus. John and his wife Stacey are passionate parents to their three children Caleb, Amy and Carly. They recently became grandparents to their first granddaughter, Maci.